Put something into the universe and watch what happens. For years, we’ve been fascinated with the power of vision boarding. It begins with deep exploration: combing through magazines, catalogs, poetry, novels, scripture and more. Each crafter tears out eye-catching pages, then cuts out the specific words and images that resonate most. Piece by piece, these elements amount to a board that showcases hopes and goals for the months, or years, ahead. And through daily meditation on those themes, your board can help incite major change. 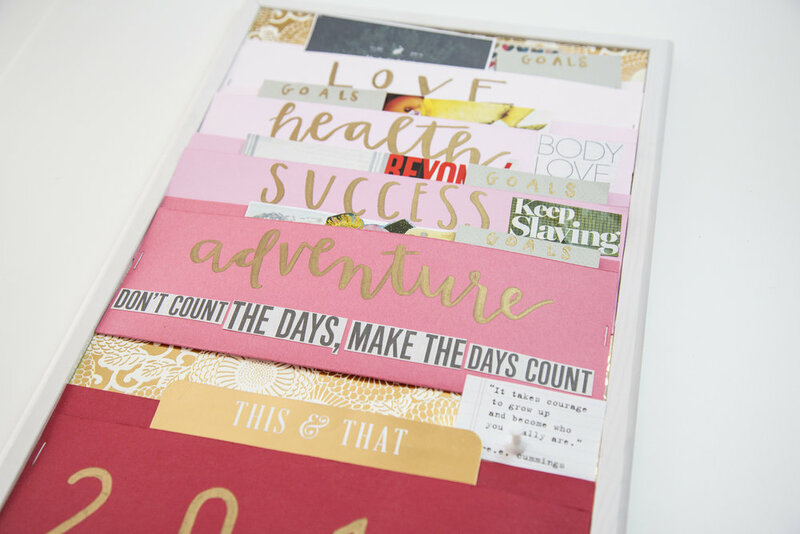 Craft a vision board that focuses on professional ambitions you have, or go comprehensive, turning attention to work-life balance and personal wishes for the next six months. The only thing more exciting than building your own is seeing what others create—a sharing experience that will surely inspire you. Whatever your focus, when you manifest it with intention, transformation begins.